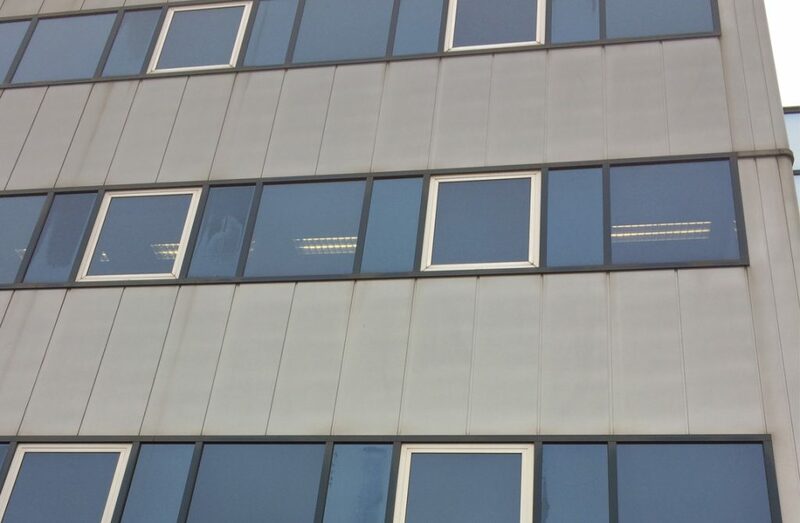 The office complex on the Van der Mandelelaan in Rotterdam, after all those years, needed a makeover. 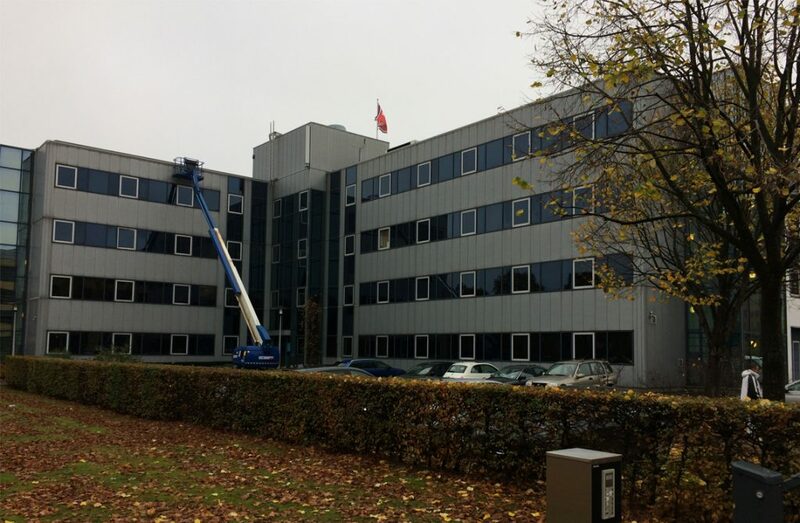 That is why the men from painting company K. de Graaf as the main contractor have been commissioned to clean the white aluminium frames and overhead doors and provide them with NITOCOAT. As a subcontractor, Schildersbedrijf Koegler was asked. In addition to cleaning and providing the overhead doors with NITOCOAT, all windows also had to be cleaned with the product GLASSRENOVATOR. 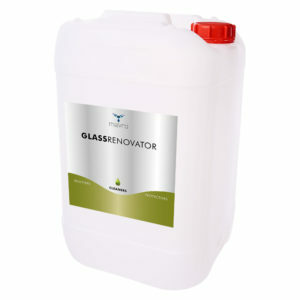 GLASSRENOVATOR is used to remove stubborn anoranic deposits of lime, cement residues or silicic acid on glass surfaces. 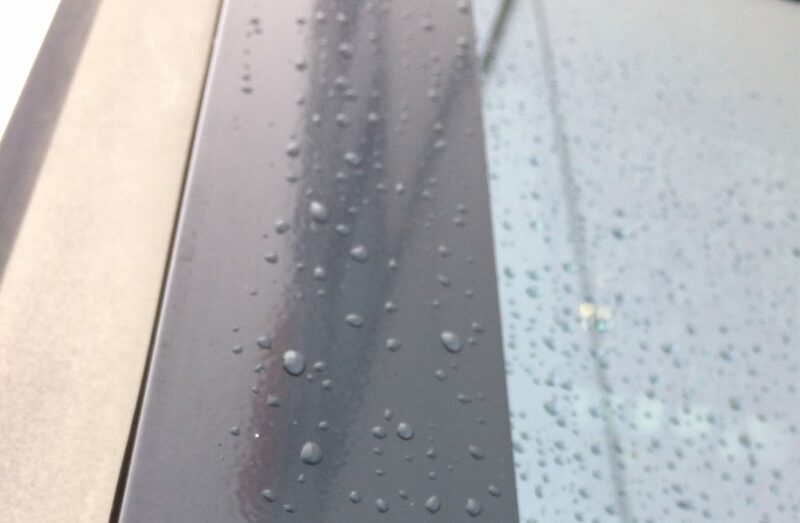 GLASSRENOVATOR is a user-friendly product that carefully cleans glass surfaces. For more information about this product, you can always contact us.